It was a beautiful day in Seocheon today – we’ve finally breached the 60s! A post-work run at the outdoor track left me hungry, but too tired to cook anything extravagant. 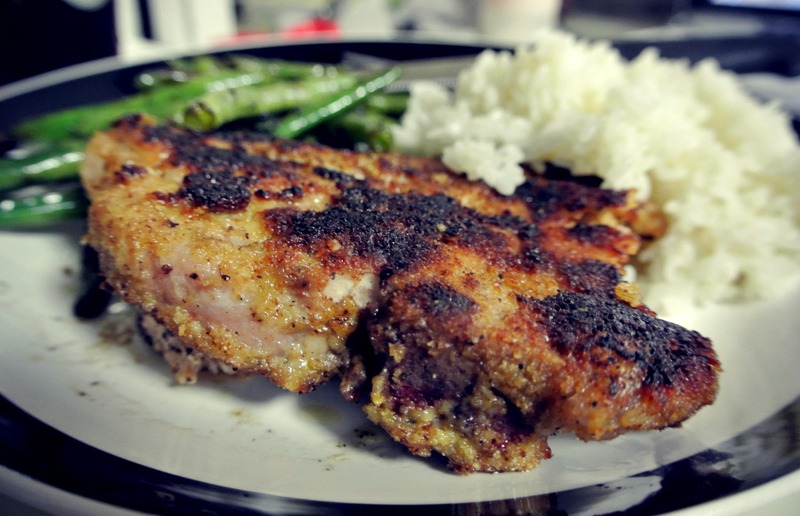 A quick, 15-minute fried pork chops recipe was just what I needed. By no means is this a healthy meal. I’m sure there are more wholesome alternatives than cooking oil, but fried pork chops weren’t invented for the health-conscientious anyway. It sure was delicious though!